Skiing, fishing, hunting, hiking in beautiful Montana? This bucolic historic house sleeps up to 12, is conveniently located in Roscoe, MT and sits on the confluence of 3 waterways. It's across the street from the Grizzly Bar, 30 minutes to Red Lodge Ski Resort, 20 minutes to Tippet Rise Art Center, and 2 hours to Yellowstone Nat'l Park. Families, wedding parties or a group of good friends getting together.. you will love this place! 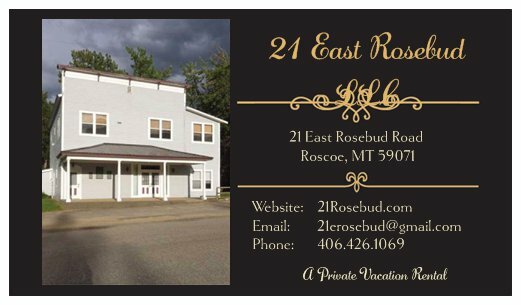 21 East Rosebud can also be rented as two separate units, upstairs (Cottonwood at 21 East Rosebud) or downstairs (Aspen at 21 East Rosebud). These units are listed separately on Airbnb. New!! Guests enjoy a 20% discount off food at the Grizzly.